Treat yourself to an escape to a beautiful plateau in the Alps only 20 km away from Ljubljana above the town of Kamnik. 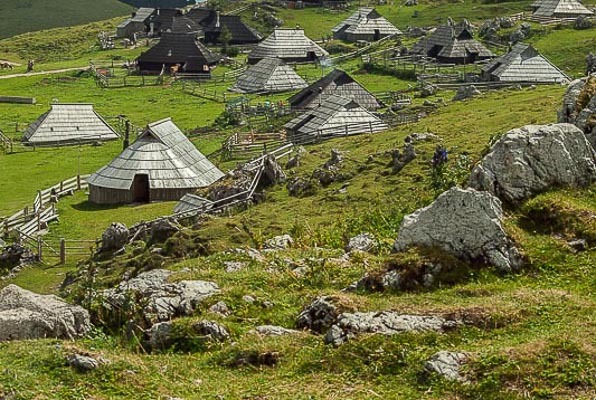 Velika Planina is one of the rare Alpine places where herdsmen`s heritage is preserved. The herdsmen`s settlement is revived in June when there is also a possibility to sleep in one of the huts, enjoy the company of cows, admire views and taste traditional dairy products. The beauty of the plateau can be admired in summer by means of hiking and cycling or in winter by skiing and sledging. Access to the plateau is possible by foot, by ski lift or combined. Hiking shoes and warm clothes are advised! 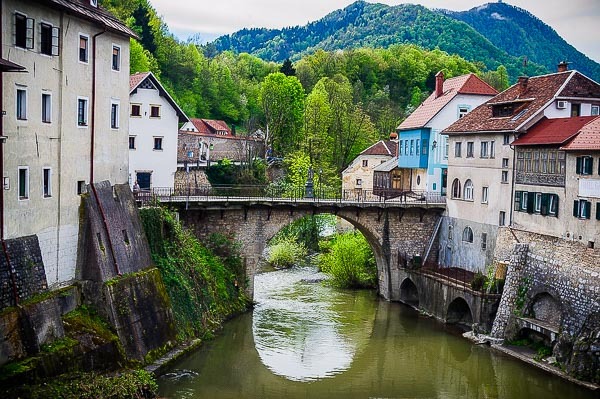 Skofja Loka is one of the best-preserved medieval town in Slovenia. It is located approx. 20 km NW of Ljubljana and easily reachable by bus from the Ljubljana Bus Station. Bridges, old and coloured houses and numerous churches make this city absolutely adorable and definitely worth visiting. Wander along the narrow streets and take your time to sip a cup of coffee in one of the cafes. Take a walk along the Upper and Lower Square and visit the Skofja Loka Castle standing proudly on the hill above the city, hosting museums and galleries. If you are a fan of hiking and climbing, there are numerous hills surrounding the town. Wishing to stay longer, make sure you book your accommodation in advance. 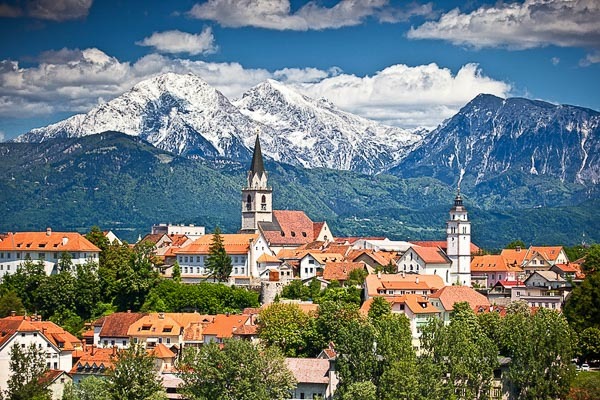 Kranj is the first bigger city on the road from Ljubljana towards Bled or Bohinj. 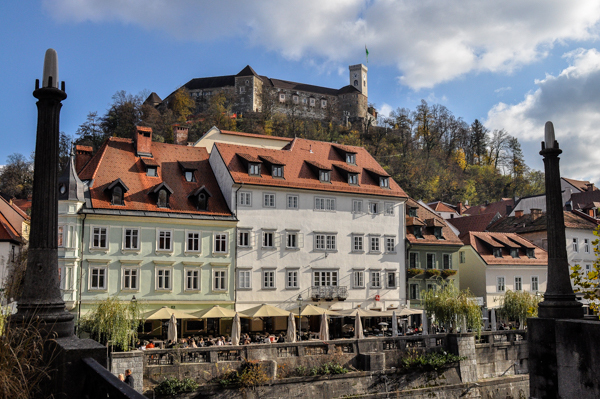 Even though it is an old city and not very small, it lacks the charm of Skofja Loka or joie de vivre spirit of Ljubljana. Kranj has other advantages. It is not as tourist-packed as Bled or Ljubljana and it can be an ideal starting point for outdoor activities. Hills and mountains to hike, bike or to ski are at hand and Bled is only 25 km away. However, it does hide some lovely spots in its old town core as well. 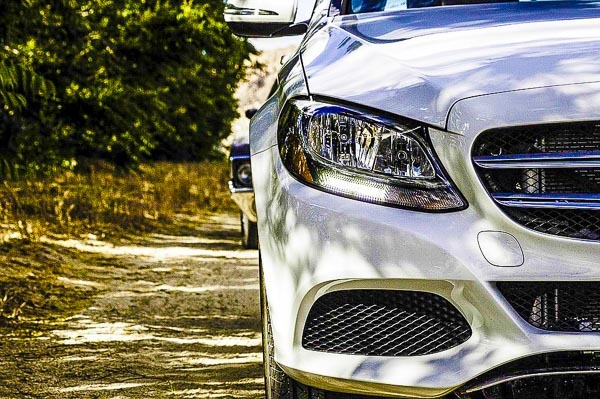 There are old churches, squares and bridges, even canyons of two rivers that run through, while one of the biggest attractions are underground tunnels from the WWII. There is a ski centre Krvavec just about 12 km aside. If you have an early morning flight to catch, Ljubljana Airport is located only 7 km away. This hill is probably the most popular hiking spot for Ljubljanians. The Slovenians are very sporty people and if the weather is nice many will hike hills at weekends or after finishing their work. Take city bus No. 8, get off at »Smartno« bus station (the fourth before last) and hit the path. 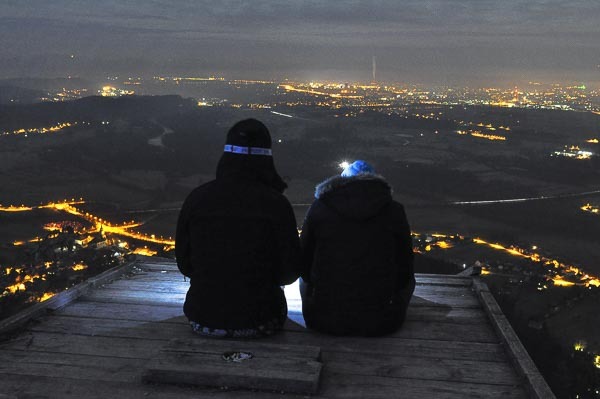 The hill is only 669 m high and in case you think it is not worth it wait until you see the view of the Ljubljana Valley and taste some of the homemade goodies in the inn atop. If you`d like to climb it by bike, you can rent a high-quality mountain bike at Pravi Kolesar (from 15 eur/day). 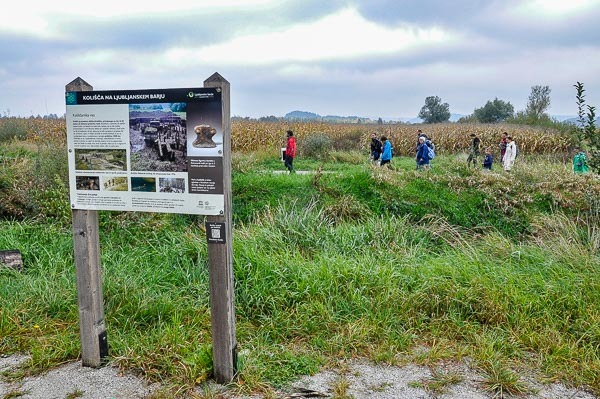 Ljubljana Moors is quite an extensive area of wet grasslands with forests where numerous also endangered species of birds, insects and plants are residing. The bog is a perfect spot for admirers of nature and history and archaeology as well. To be precise, the park is famous for its prehistoric pile dwellings, which are listed as UNESCO World Heritage Sites and the oldest (5150 y.o.) wooden wheel in the world found in this area in 2002. On the field, frankly, the dwellings cannot be truly seen anymore, so it is best to visit one of the museums (National Museum, City Museum, Ig Museum) or join a guided tour of the park. When there don`t forget to visit the remarkable Church of St. Michael designed by the famous architect Plecnik.